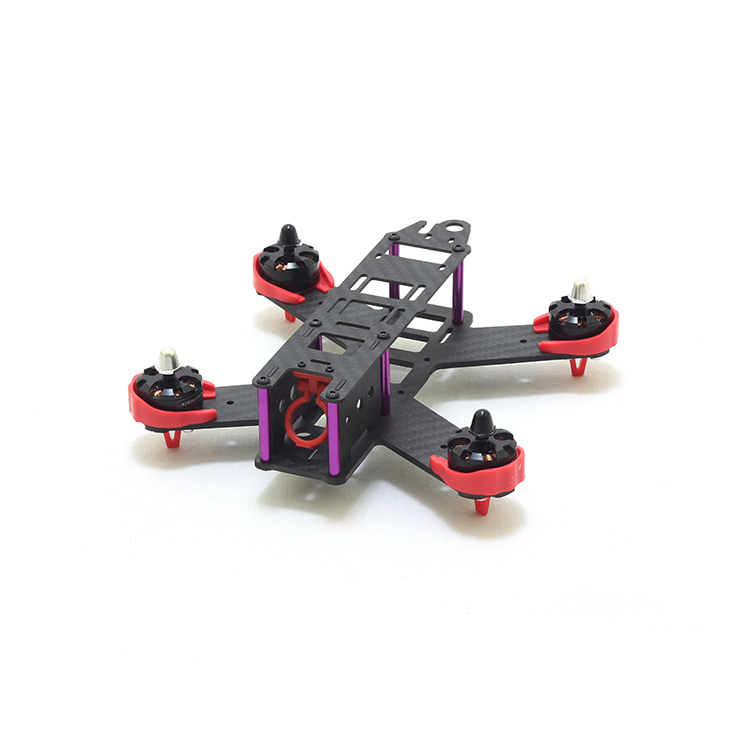 The QAV210 Carbon Fiber FPV Quadcopter Frame Kit is the go to frame for acrobatic FPV performance. The 210 frame is an extended version of the QAV180, and was developed to be as small as possible, while allowing the ability to comfortably support 5" props and 2204 size motors. Motor mounting holes designed to fit a variety of motors (M3 and M2 screw mounting patterns).